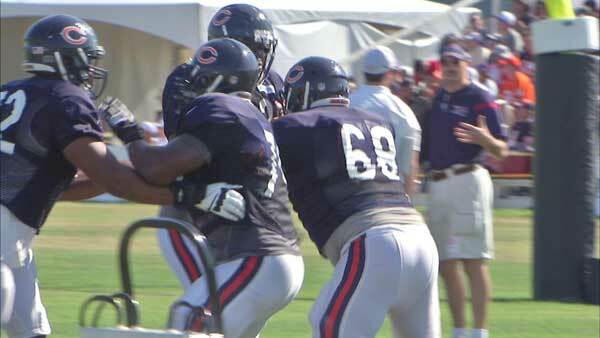 The Chicago Bears are encouraging fans to be healthy this summer by offering free cancer screenings at training camp. BOURBONNAIS, Ill. (WLS) -- The Chicago Bears are encouraging fans to be healthy this summer by offering free cancer screenings at training camp on Thursday and Friday. Fans should head over to Olivet Nazarene University in far south suburban Bourbonnais to watch practice and find out if they are at risk for skin cancer. The Bears and the American Academy of Dermatology are hosting the free screenings from 8:30 a.m. - 12:30 p.m. Thursday and from 10 a.m. - 2 p.m. Friday. Research shows one in five Americans will develop skin cancer in their lifetime. To find more cancer screenings near you, visit SPOTme.org.